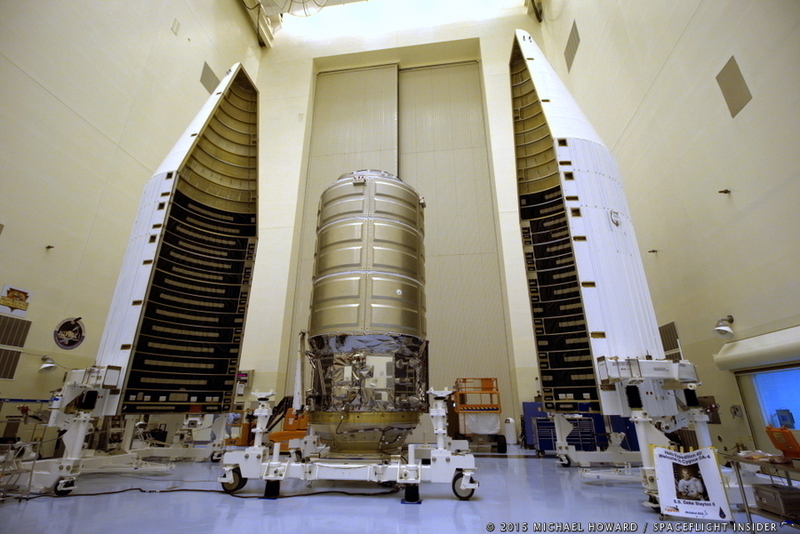 Cygnus is an uncrewed commercial cargo freighter designed, developed and built by Orbital Sciences Corporation under NASA’s Commercial Orbital Transportation Services (COTS) contract. 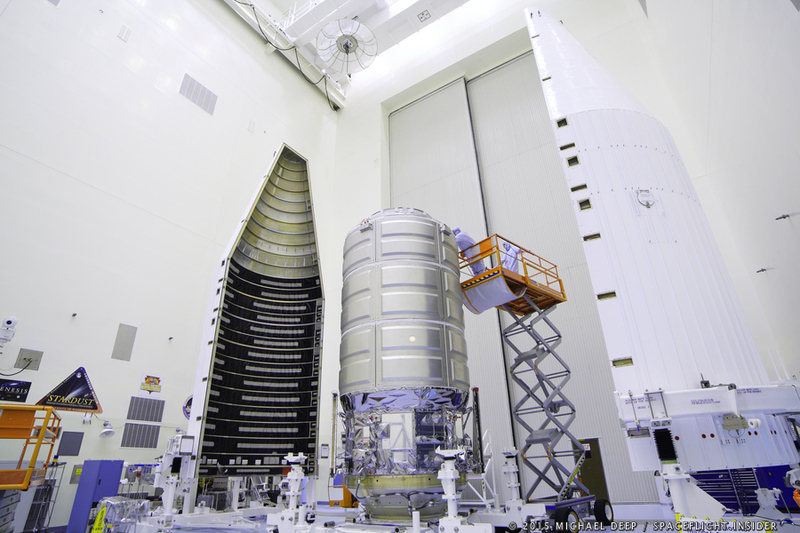 The Cygnus spacecraft is designed to fly on an array of launch vehicles and has, to date, flown on both Orbital ATK’s Antares and United Launch Alliance’s (ULA) Atlas V 401 rockets. 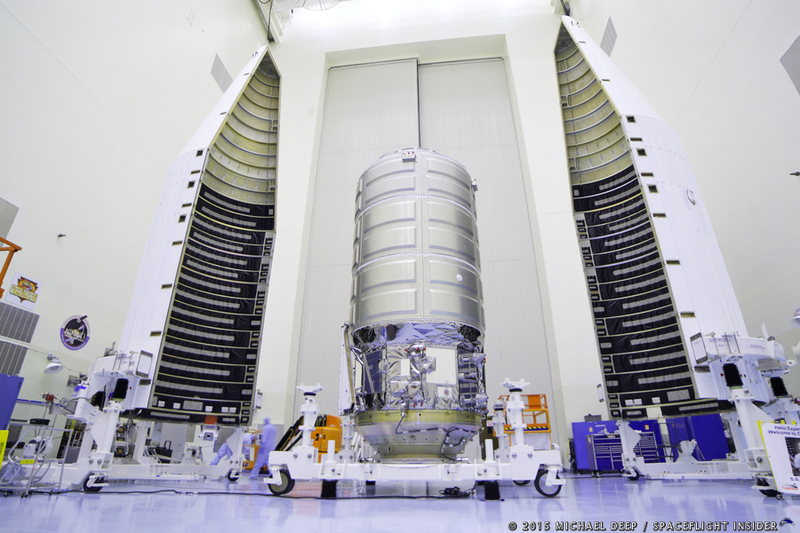 Cygnus was selected after NewSpace company Rocketplane Kistler’s K-1 launch vehicle failed to meet its obligations under the COTS agreement. 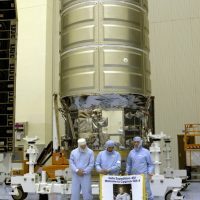 A new competition was held after NASA announced in October of 2007 to terminate its agreement with Rocketplane Kistler. 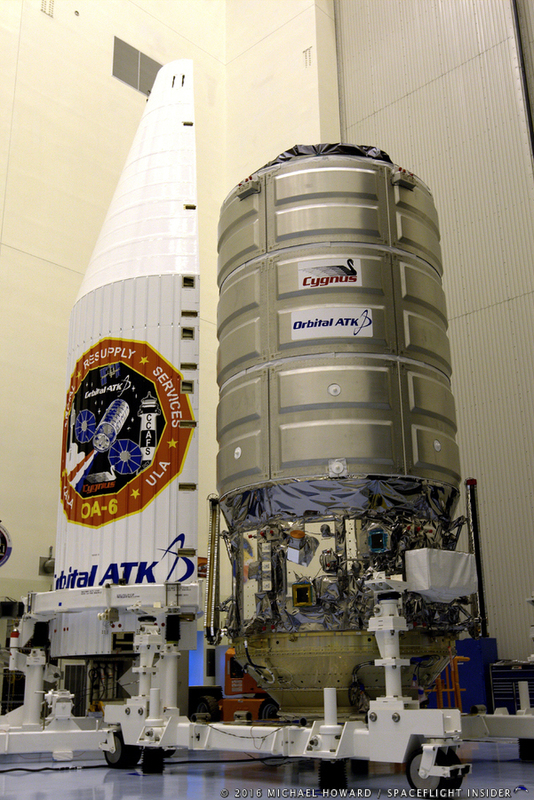 It was announced on February 19, 2008 that a new winner had been selected – Orbital Sciences. 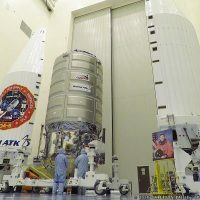 Under the $1.9 billion Commercial Resupply Services contract that Orbital entered into with NASA, the company must deliver some 20 tons worth of cargo via eight Cygnus flights to the International Space Station (ISS) through 2016. 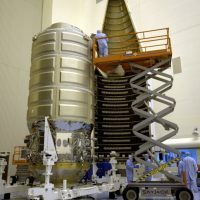 In April of 2010, Orbital Sciences displayed a full scale model of Cygnus at the National Space Symposium held in Colorado Springs, Colorado. 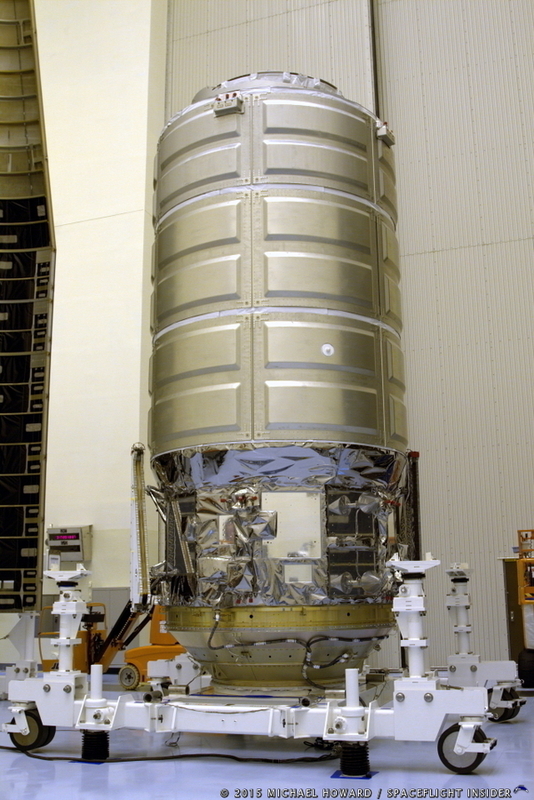 The Cygnus system incorporates elements drawn from Orbital ATK and its partners’ existing, flight-proven spacecraft technologies. 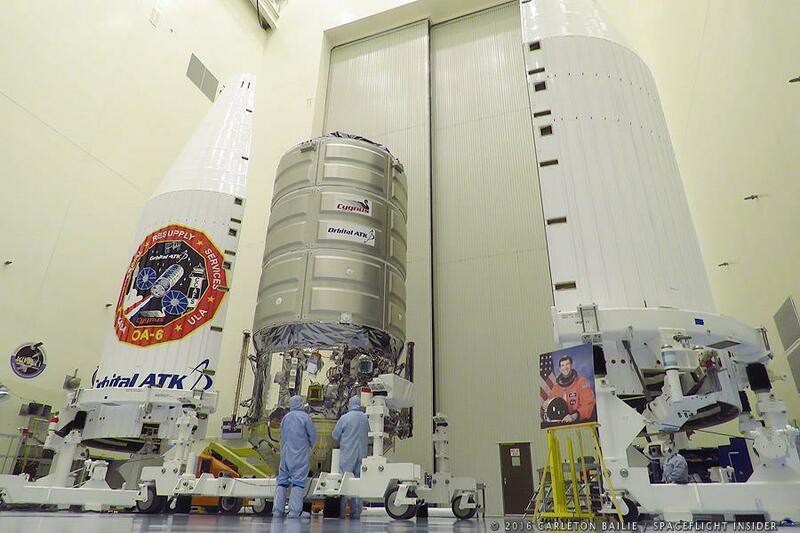 The spacecraft consists of a common service module and a pressurized cargo module. 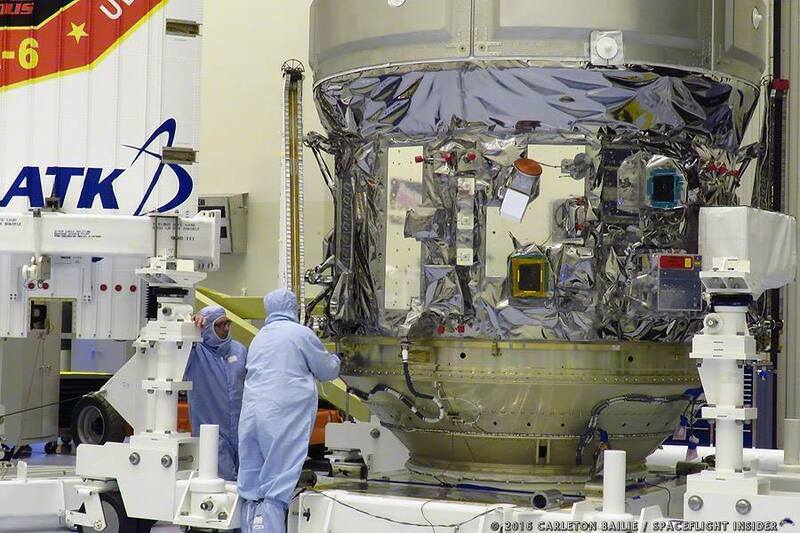 Its service module incorporates avionics systems from Orbital ATK’s LEOStar™ and GEOStar™ satellites as well as propulsion and power systems from GEOStar. 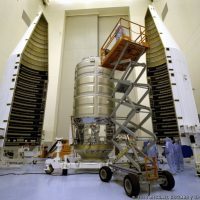 The pressurized cargo module is based on Thales Alenia Space‘s Multi-Purpose Logistics Module (MPLM), developed for NASA. 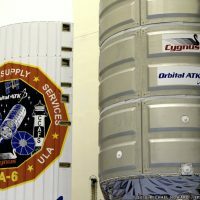 Orbital ATK developed Cygnus to demonstrate cargo delivery services under a NASA Commercial Orbital Transportation Services (COTS) Space Act Agreement and is now performing ISS resupply flights under the Commercial Resupply Service (CRS) contract. 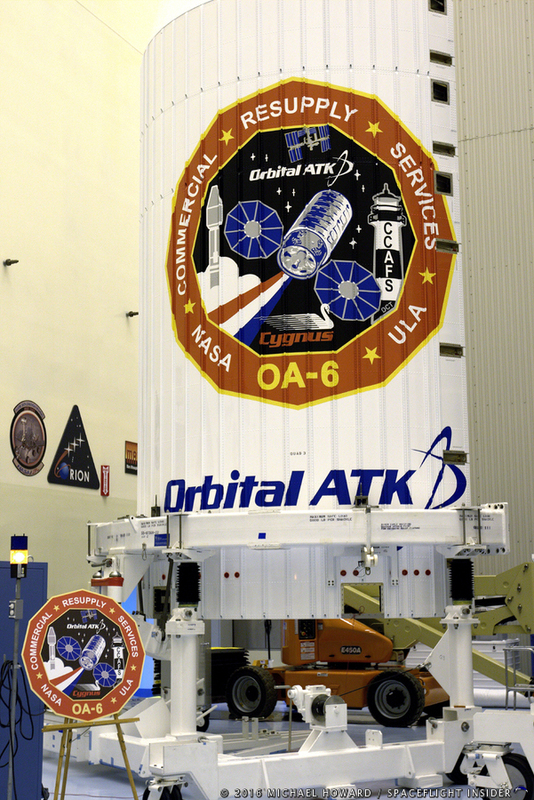 Orbital ATK is under contract to conduct 11 missions delivering approximately 30,000 kilograms of cargo to the ISS. The first of these was successfully completed in early 2014. 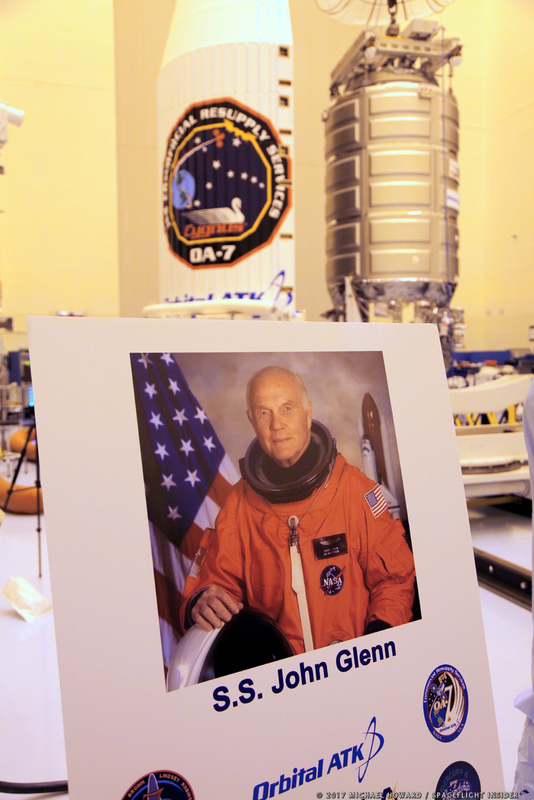 G. David Low – Launched on September 18, 2013 atop an Antares 110 rocket from NASA’s Wallops Flight Facility in Virginia, it was named in honor of the former NASA astronaut who had served as an executive with Orbital Sciences Corporation.Besides being the first Cygnus mission, it also was marked the first time a Cygnusrendezvoused with the ISS and was berthed to ISS. 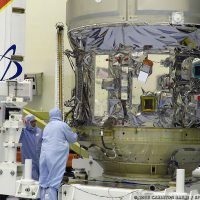 Rendezvous encountered an issue and was delayed due to a computer data link problem. 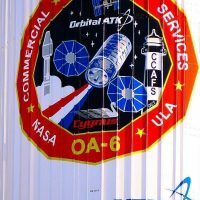 C. Gordon Fullerton – Launched on January 9, 2014 atopan Antares 120rocket from NASA’s Wallops Flight Facility in Virginia, it was named in honor of the former NASA astronaut who had served as the B-52 pilot for early Orbital Sciences Pegasus missions. 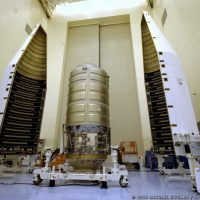 This was the first operational flight for Cygnus under the $1.9 billion CRS contract and saw approximately2,780lbs (1,260kilograms) worth of cargo, crew supplies and experiments sent to the space station. 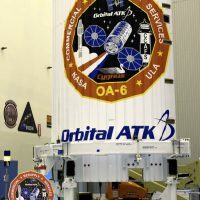 Janice E. Voss -Launched on July 13, 2014 atopan Antares 120rocket from NASA’s Wallops Flight Facility in Virginia, it was named in honor of the former NASA astronaut who was an employee with Orbital Sciences Corporation. 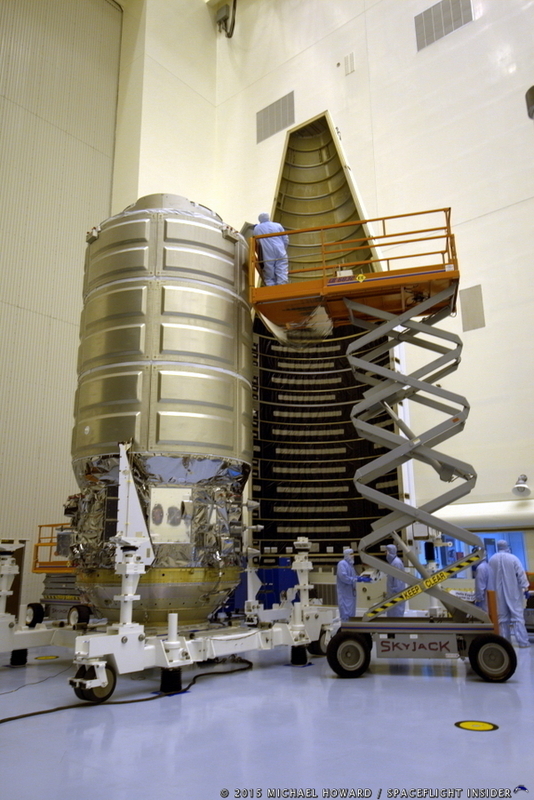 The mission saw about3,293lbs (1,494kilograms) worth of cargo, crew supplies and experiments sent to the ISS. Deke Slayton -Launched on October 28, 2014 atopan Antares 130rocket from NASA’s Wallops Flight Facility in Virginia, it was named in honor of the former NASA astronaut who worked to expand the presence of commercial space efforts. 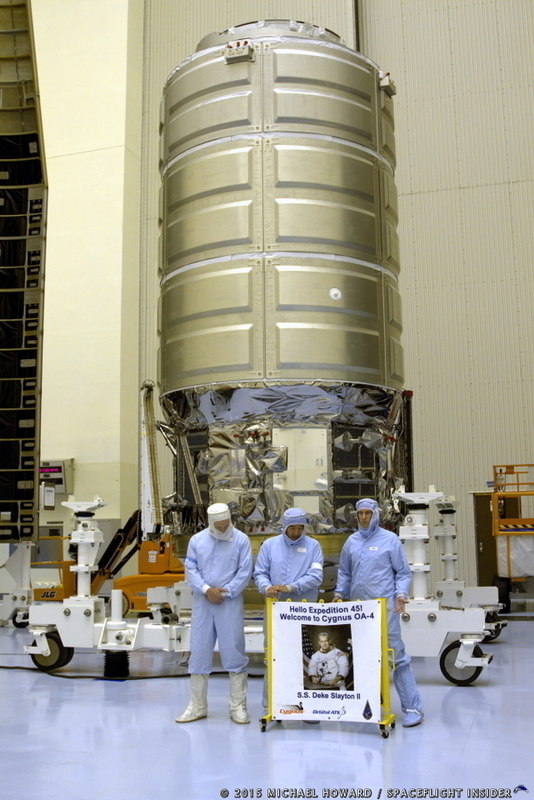 The mission and its4,883lbs (2,215 kilograms) worth of cargo were lost a few seconds after flight. 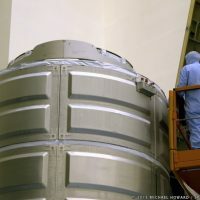 The Antares 130 rocket that was launching the spacecraft encountered a problem with a turbopump in one of its two Aerojet Rocketdyne AJ27 (formerly Soviet NK-33) rocket engines – forcing its flight termination hardware to be activated. 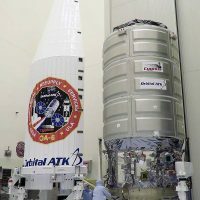 Deke Slayton II – Launched on December 6, 2015 atop a United Launch Alliance Atlas V 401 rocket from Cape Canaveral Air Force Station’s Space Launch Complex 41 (SLC-41) located in Florida – this was the first Cygnus to be sent to the ISS via ULA’s Atlas V launch vehicle. 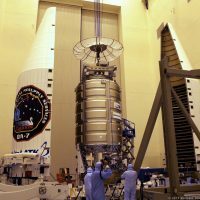 The Deke Slayton II carried some 7,746lbs (3,514kilograms) of cargo, experiments, hardware and crew supplies to the ISS. 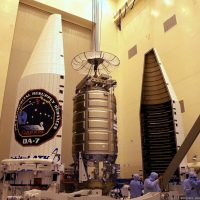 Rick Husband – Named in honor of the commander of STS-107, the tragic final flight of NASA’s Space Shuttle Columbia, this Cygnus delivered approximately7,758lbs (3,519kilograms) of cargo to the orbiting laboratory. This included experiments, crew supplies, cargo and hardware. 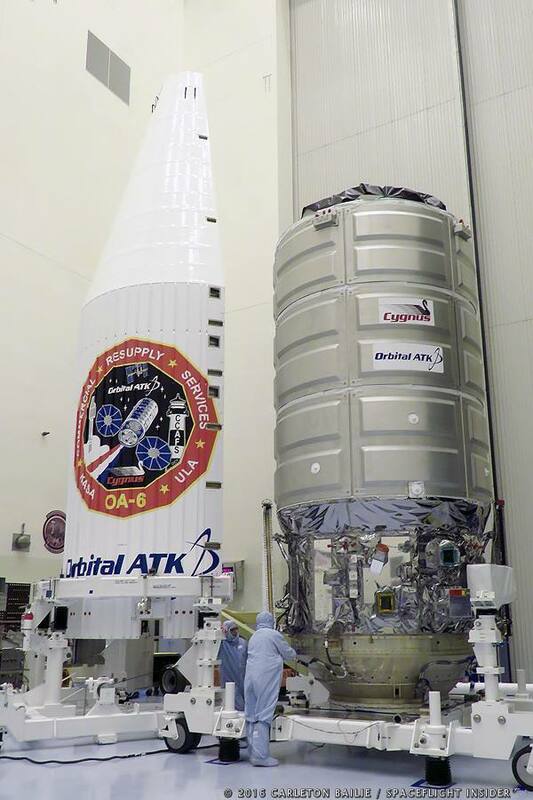 This was the second launch of a Cygnus on ULA’s Atlas V rocket and it was launched on March 23, 2016. 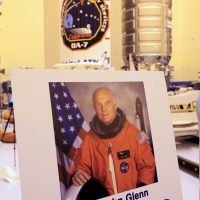 Alan Poindexter -Launched on September 18, 2013 atop an Antares 110 rocket from NASA’s Wallops Flight Facility in Virginia, it was named in honor of the former NASA astronaut who died on July 1, 2012. 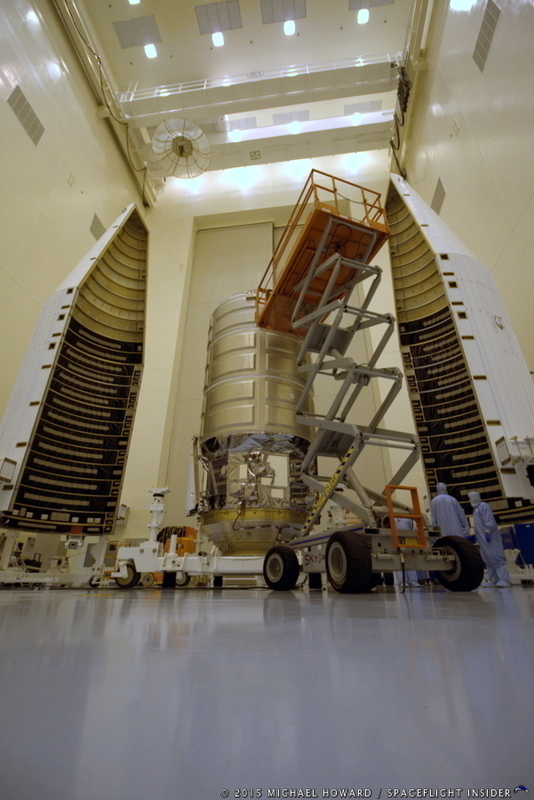 This mission marked the return of the upgraded Antares launch vehicle (the Antares 230) to service. The rocket no longer uses the 40-year-old AJ26, rather it employs two Russian-made RD-181 engines in its first stage. 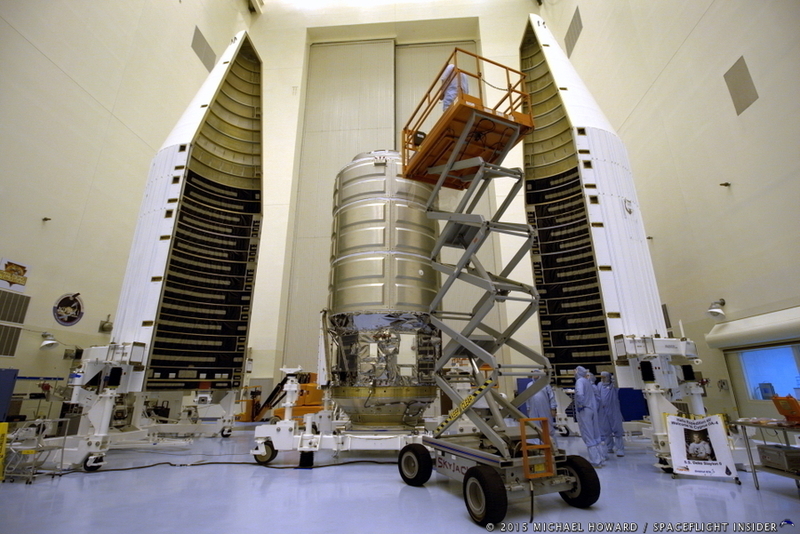 Cygnus consists of a pressurized cargo cylinder with a Common Berthing Mechanism up front and a service module providing electrical power and propulsion aft. 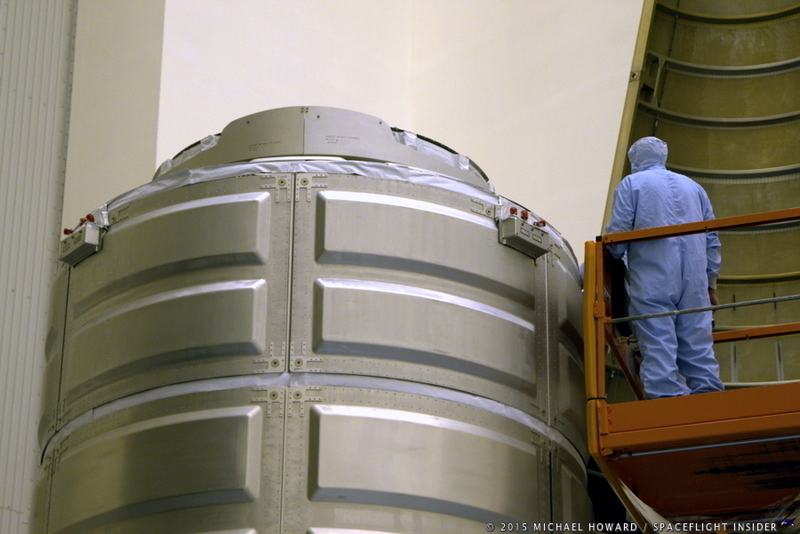 The cargo module has a volume of up to 388.5 cubic feet (11 m3) and can support cargo mass of up to 5,952.5 pounds (2,700 kg). 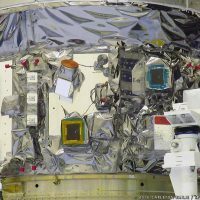 The solar arrays on the service module supply an average power of 3.5 kilowatts. The dual-mode propulsion system can use Monomethyl Hydrazine (MMH) and MON-3 (a mix of Nitrogen Tetroxide and nitric oxide) or just MMH. 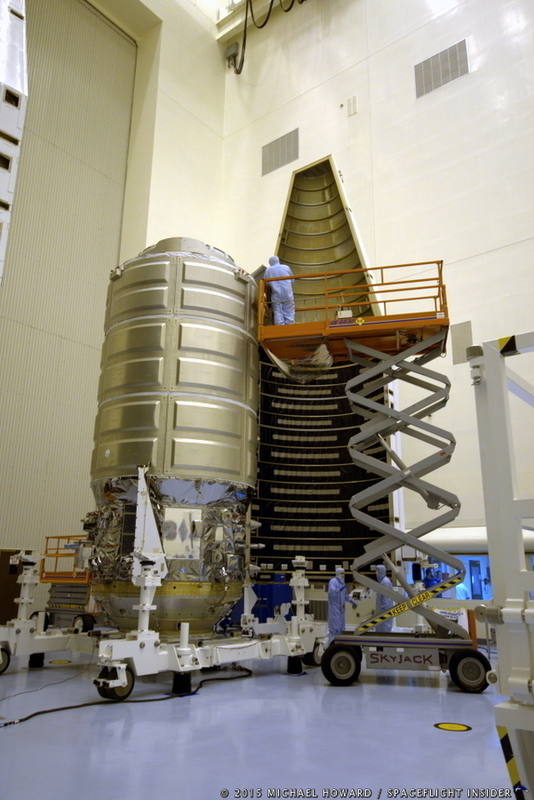 An enhanced version of Cygnus consists of a longer pressurized cargo module, increasing its payload capability to 7,700 pounds (3,500 kg). 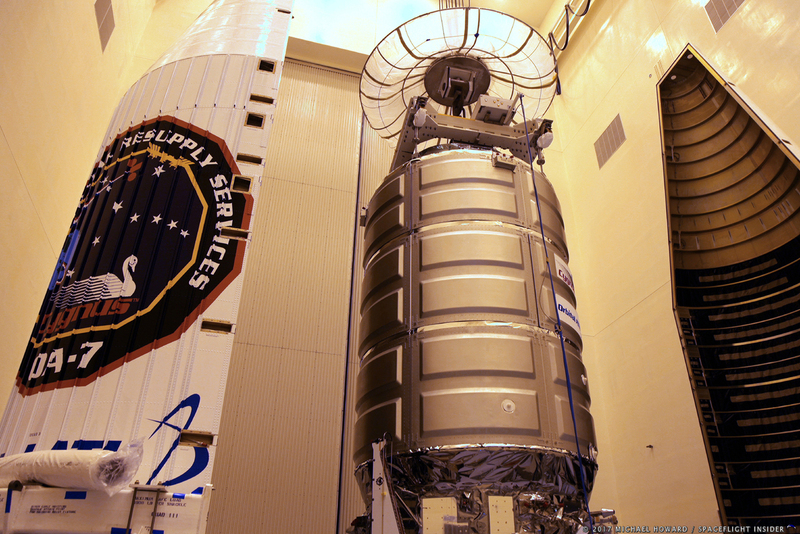 Cygnus has launched aboard the United Launch Alliance Atlas V 401 from Cape Canaveral Air Force Station in Florida and Orbital ATK’s own Antares launch vehicle from the NASA Wallops Flight Facility in Virginia. Its mission trajectory is the same regardless of its point of origin. 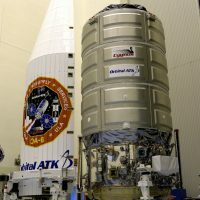 Once the launch vehicle has successfully lifted off and carried Cygnus to its designated orbit, the spacecraft will pursue the ISS over the course of several hours or days until it maneuvers within capture range of the Station’s robotic arm. 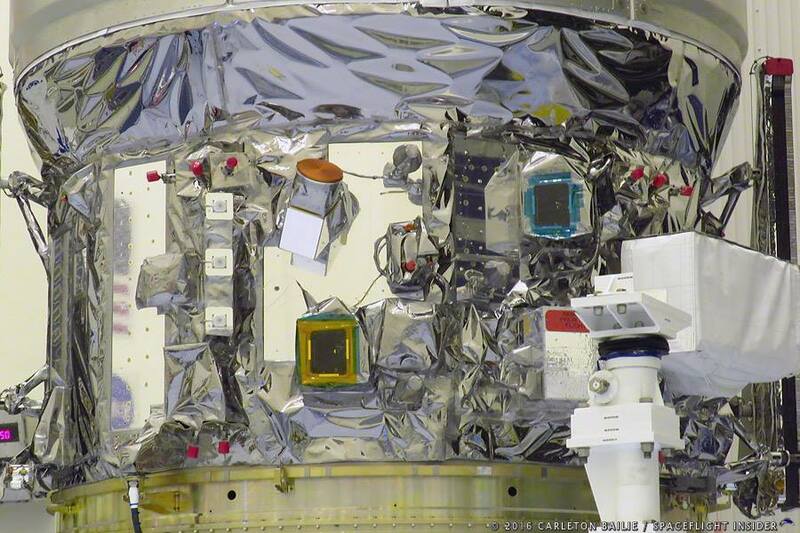 The thruster is then shut down so that the robotic arm can capture and berth (attach) Cygnus to an available docking node. 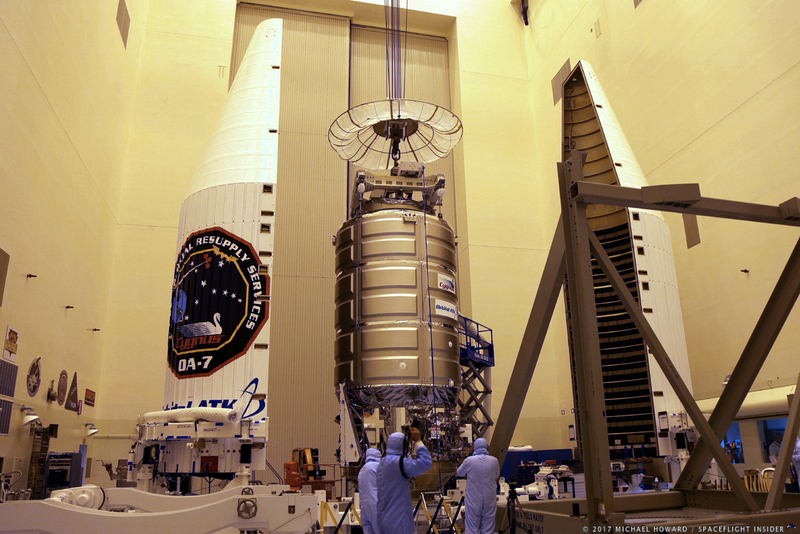 Once securely berthed, the spacecraft is then accessed by the astronauts and emptied of cargo. 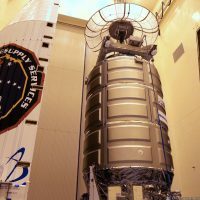 Because Cygnus is recovered after its cargo delivery mission, trash and other waste items are placed inside the spacecraft before it is sealed and detached from the Station. 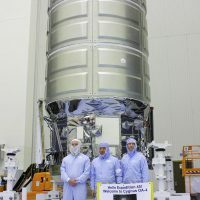 Upon being released by the robotic arm, Cygnus is oriented to reenter and burn up in the atmosphere over a safe area of Earth (usually the Pacific Ocean). 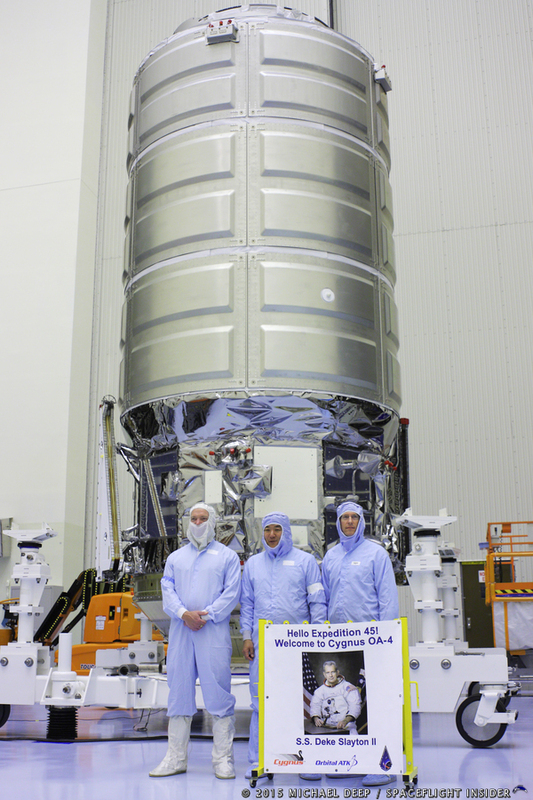 Cygnus has flown to ISS successfully seven times and is operating as designed. 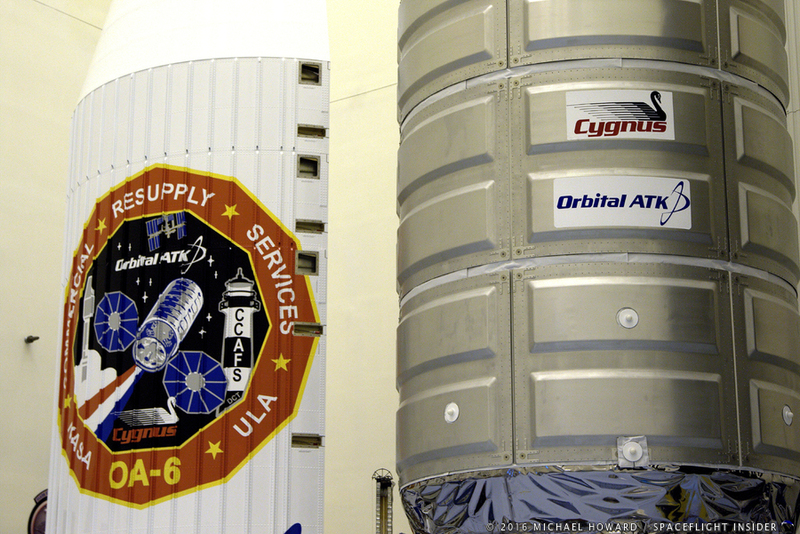 Since OA-4, all of Orbital ATK’s missions to ISS are using the enhanced version of Cygnus. 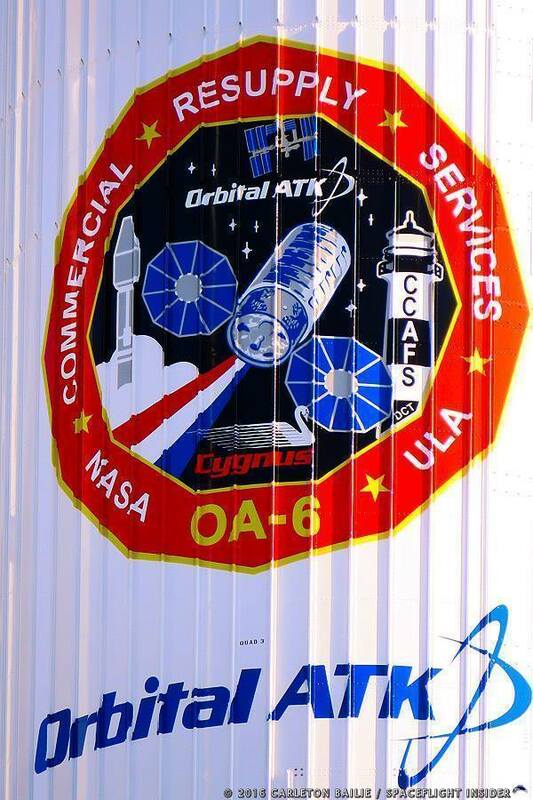 The only unsuccessful Cygnus mission (CRS Orb-3) was the result of a failure of an Antares launch vehicle soon after liftoff on October 28, 2014. 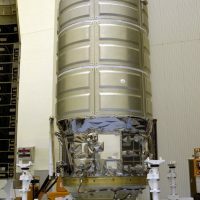 NASA has contracted with Orbital ATK for up to 11 missions, which would extend the spacecraft’s planned service out to 2019. 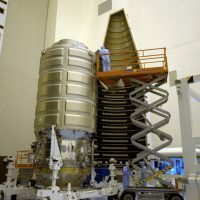 In 2013, crewed spacecraft based on Cygnus was considered by Dennis Tito’s Inspiration Mars organization as part of an architecture to send two people on a 500-day mission around the planet Mars. The modified vehicle, if funded, would include 600 cubic feet (17 m3) of living space, larger solar arrays, a docking module, and an Orion pathfinder crew module for reentry upon return to Earth. 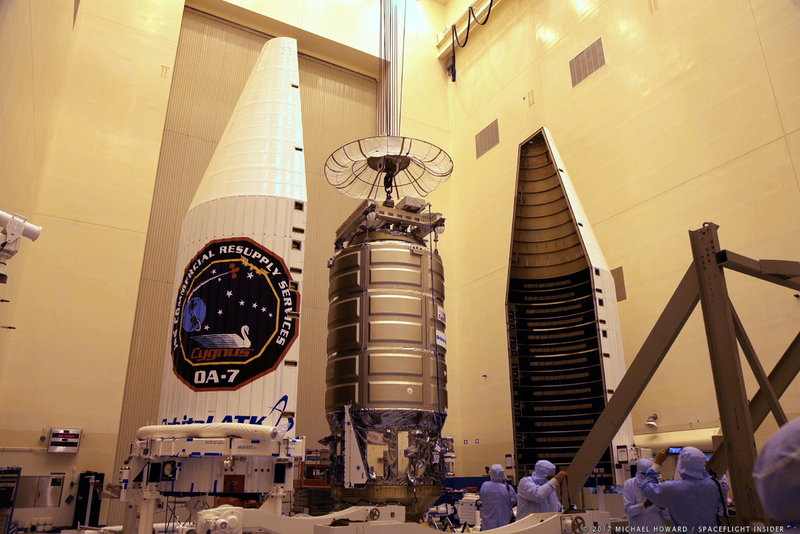 Since its introduction, Cygnus has brought over 35,000 pounds (15,875 kg) of supplies and equipment to ISS. 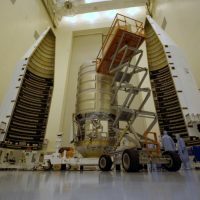 Among the payloads it has delivered are a Planetary Sciences satellite (Arkyd-3) and three SAFFIRE in-space combustion experiments (which were also conducted inside the spacecraft). 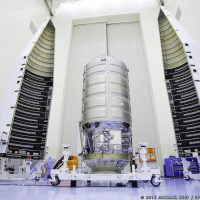 December 15, 2018: Notes on the Run: What is it like to see a rocket launch? 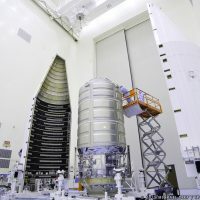 November 15, 2018: How does Northrop Grumman secure Antares during powerful storms?